Now that the federal ban on sports gambling is no longer in effect, and more states are looking to join the action, sports leagues must learn to adjust and accept the changes. 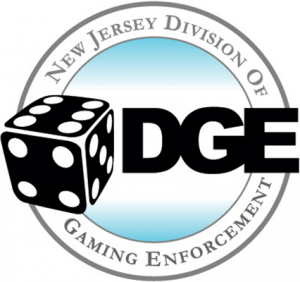 According to MLB officials, they’re requesting that New Jersey’s Division of Gaming Enforcement (DGE) block wagering on spring training games. However, those requests fell on deaf ears as the DGE said no way! Also, NJ isn’t the only state to decline requests by the MLB. First, the request by the MLB has no value. Yes, we all know that players don’t play with all seriousness. Plus, we know that the games don’t count on record books. Considering these two facts, it’s really hard to call a spring training game. So if a gambler wishes to bet on those games, then, by all means, let him! With the odds on such games being 50/50, it’s perfect for a fair wager. At the end of the day, betting on MLB spring training games won’t hurt the league one bit, so what’s all the fuss about? Perhaps, the league feels left out because they’re not getting a piece of the pie! But then again, MLB has been trying for several years to keep sports gambling illegal at a federal level. At this point, both Nevada and the Garden State are standing together on this call. In brief, if the league wishes to have an influence, then they should get on the right side of history. So for as long as they go against the grain, then the harder it’s going to be for them to adapt to the changes sweeping across America! Understandable that the league is worried about fixed-games. But if they work more closely to states that allow sports betting, then they would see that NJ is watching out for such shams. In other words, it’s a new age in sports betting, so it’s only a matter of time before MLB comes around to that reality.